I come back from a visit with my family and my nieces have changed my background image on my phone. They have also taken several, I mean more than 20, photographs of their soft toys and 2 of their dogs. 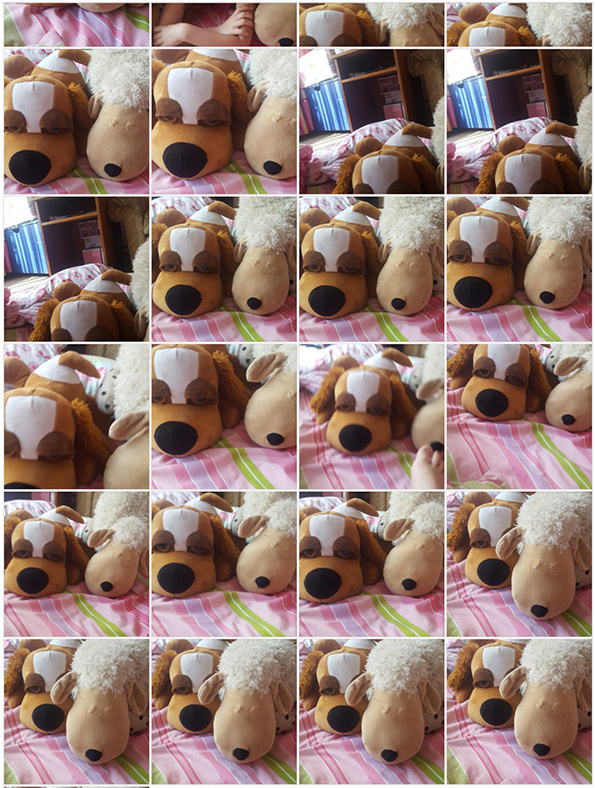 I guess it's easier to photograph the soft toys than the restless dogs. I am sure they had a lot of fun, and I had a good laugh when I found them in my gallery.